I don’t know why my brain thinks these things. But it does. And when it gets this way…. I can’t help but to speculate. To wonder. One of the things I am pondering is this. The thing about these is…. most of the time… we will never know about them. Here is what caused my quandary. 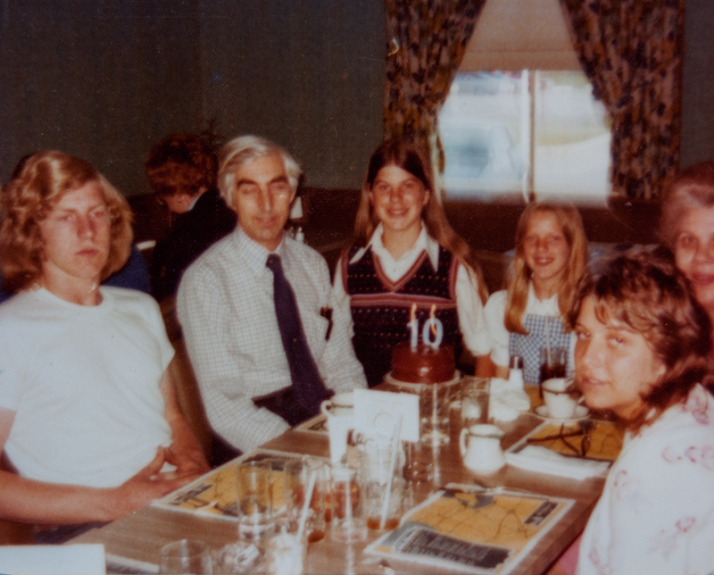 When we were kids, we used to get to go “out” for dinner on our birthdays. This happened a little more often once the older kids started flying the nest. At any rate, our “go to” birthday spot turned out to be Bill Knapp’s Restaurant. On Shiloh Springs Avenue, in Dayton. I think this became our standard restaurant, because we felt like we were getting a deal. Whatever your birthday age was, that was the percentage you got off your bill. This photo is from my 10th birthday. At Bill Knapp’s. Hence… 10% of the bill. But holy smokes, I am WAY off topic. So a couple of weeks ago, WHIO-TV ran one of their special series of local “Unsolved Mysteries.” I normally don’t give it an ear. But the woman murdered was killed in the mid-1970s. She was a waitress at Bill Knapp’s Restaurant. She had worked the evening shift on the night she disappeared. And as I watched the piece, I thought I remembered seeing her. In fact, she could have been our waitress from time to time. Now, I can’t find the article on Channel 7’s site, to match up dates. But at any rate, my mind is teeming with “what ifs” about all of this. Did we know her as our waitress? Were we there the night she disappeared? Were we nice to her? 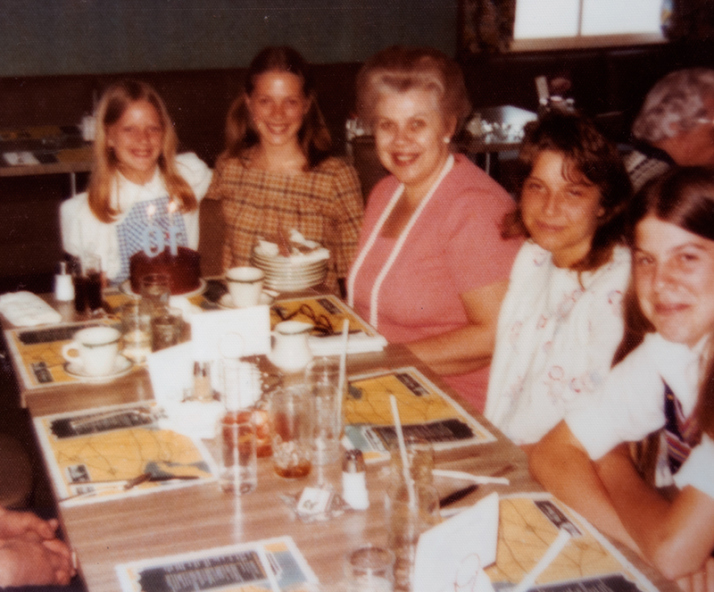 Was the killer sitting at the table next to us… stalking her? Is that the guy I dumped my Coke on accidentally, when I went around the other side of the table? Probably none of this. Or maybe all of it. Either way, it is no longer an Unknown Contemporaneous Events. Because, by happenstance, I heard that I had been there… possibly at the same time. So how many of these do we have each day? Not necessarily murder mysteries… but other things. Like the guy who killed my fish today. He is probably clueless how upset I was, but I chose not to go out and tell him about it… for fear I would lose it. Or maybe you cut somebody off in traffic today, and the guy got explosively mad. As a result, when he got home from work, he took it out on his kid. Or the lady at the grocery store, who works the cash register. Perhaps when you went through the checkout you told her what a nice job she was doing there. Your comment was enough to give her a spark. You see, she was thinking she could do nothing right in life, and was contemplating suicide that night. All of these, Unknown Contemporaneous Events. I can only say… that as we go through our day… it may be best to walk on the side of kindness, compassion, forgiveness, gentle actions, and good deeds. We never know who we may be affecting, and to what degree. Or if we could have made a difference to just one single person, on any given day. Any difference.